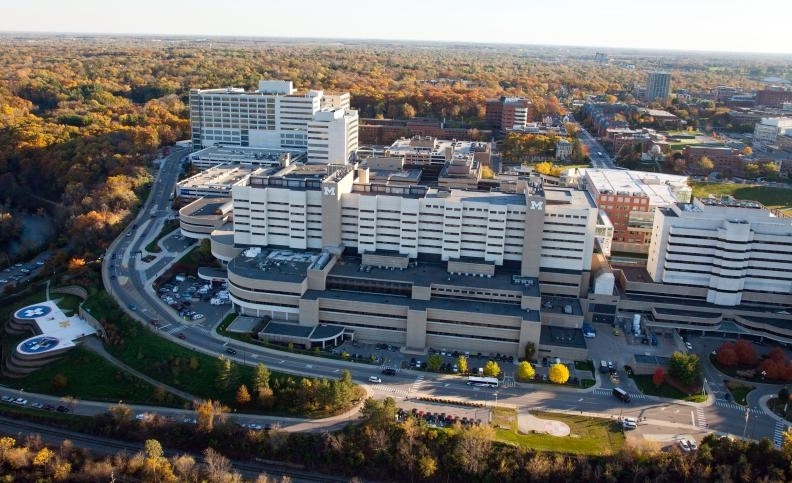 The University of Michigan Professional Nurses Council, an affiliate of the Michigan Nurses Association, serves as the bargaining agent for 5,700 nursing staff members at the UM health system. Nurses at the University of Michigan voted in favor of a three-day work stoppage to protest "ongoing and continuous violations of their workplace rights" after their contracts expired June 30. The move was supported by 94 percent of 4,000 votes cast over the last week, according to a Monday news release from the University of Michigan Professional Nurses Council, an affiliate of the Michigan Nurses Association that serves as the bargaining agent for 5,700 nursing staff members at the UM health system. A date for the work stoppage has not been set. The council said nurses will give the Ann Arbor-based university at least 10 days notice. Katie Scott, a cardiovascular nurse at the UM health system who sits on the board of the nurse's council, said a strike is not the goal and that she hopes the "yes vote" pushes the university "to begin bargaining in good faith." "We really want to break down that wall that we feel the university has put up to negotiate issues important to us," Scott said. UM registered nurses have been negotiating a contract with the university since Jan. 20, Crain's reported earlier this month. Their agreements expired June 30. Staffing has been one of the main rubs between the union and university. Scott, who has been involved in negotiations since they started, said the university is refusing to commit to staffing levels during contract negotiations but telling the public that they will maintain current staffing levels. "Such bait-and-switch tactics are a violation of Michigan labor law," the news release said. For the university's part, it claims to have been acting in good faith bargaining since the start, offering nurses competitive employment packages. "We are disappointed that our UMPNC nurses have voted to approve a strike," Michigan Medicine spokeswoman Mary Masson said in an email to Crain's. "Because it is illegal for public employees to strike, Michigan Medicine will take legal action to avoid a strike." The university also refutes the union's staffing claim, pointing to a U.S. News & World Report raking in August that put Michigan Medicine at number five on its Best Hospitals Honor Roll list. It also claims its patient-to-staff ratios are in the top 2 percent of the country. The union is not saying when exactly a strike would take place. The next bargaining meeting is scheduled for Sept. 24. Scott said she hopes the university feels compelled then to meet the nurses' demands. Union members are also expected to voice concerns at UM's Board of Regents meeting Thursday. Meanwhile, the university is preparing for a potential work stoppage. "Since UMPNC announced it was seeking the vote, Michigan Medicine leaders have been developing a comprehensive continuity of operations plan in place in the event of a strike," Masson said. "This will include hiring and training temporary nurses to replace absent employees, deferring and rescheduling select procedures and making staff scheduling adjustments as needed." If a strike does happen, "all employees are expected to come to work as usual," and even nurses who voted in favor of the action "can choose not to participate in a strike and maintain normal work hours," according to a letter sent to staff by David Spahlinger, M.D., president of the UM health system. "We have contracted with multiple labor agencies to hire and onboard temporary nursing staff if a strike occurs," he said in the letter. "However, we know we will have a limited number of temporary nursing staff and they may not have expertise in highly specialized areas." Both the university and nurses union agree on at least one thing: Patients would be negatively impacted by a strike. "Nurses are critical to the delivery of safe patient care," Masson said. "The most critically ill patients in the state come to Michigan Medicine. A strike could put patient safety at serious risk." Scott said that while joining a picket is not the ideal move, staffing is a critical issue that impacts not only nurses, but patients as well. "I personally love being a nurse and taking care of my patients," she said. "We know we need to bargain these issues to help keep patients safe." "UM nurses approve 3-day strike" originally appeared in Crain's Detroit Business.